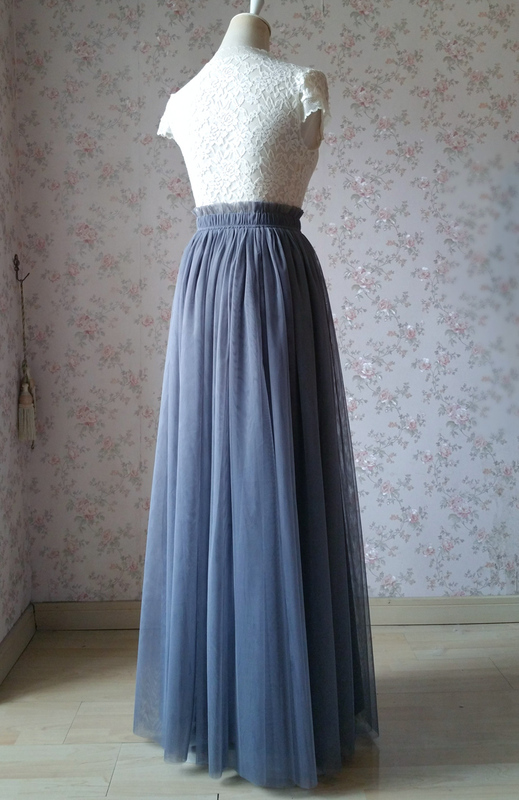 GRAY WEDDING TULLE SKIRT, GRAY BRIDESMAID SKIRT, Floor Length Tulle Skirt, Gray Dark Gray Tulle Outfits, Custom for any size, any length, with lining, ealstic waist / fixed waist, don't miss it! -Dark Gray as picture showed, No. 60. * Processing time: around 5-8 business days. For any special timeline, please let us know firstly.